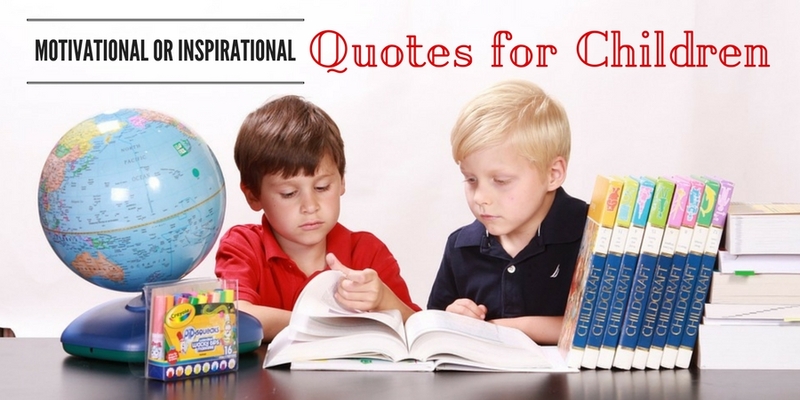 Initially when thinking about this article “Most inspirational quotes for children”, I thought things like Does quotes work for children? Can these quotes make a difference in them? Children, they are very cute, naughty, bit innocent and most importantly they are at a age where their character molding is very easy. Children always grow accordingly to the environment they are bought up. So motivational quotes or things make great impact on them. Their kind of thinking and activities all depends based on the positivism around them. These positive quotes also help in eliminating all the negative emotions in them. The following mentioned are few great motivational quotes for children which should be read when they feel too low or sad about anything. 37. “The time is always right to do what is right.” – Martin Luther King, Jr.